Tempest in a Teacup or Bubble Tea Firestorm? Not many legal disputes capture the imagination of Malaysians like a good and scintillating food feud. We are referring to none other than the CHATIME bubble tea tug-of-war that has played out in the media extensively in the last six months. The rise of CHATIME as a global franchise teahouse chain in a mere decade was fast and furious. 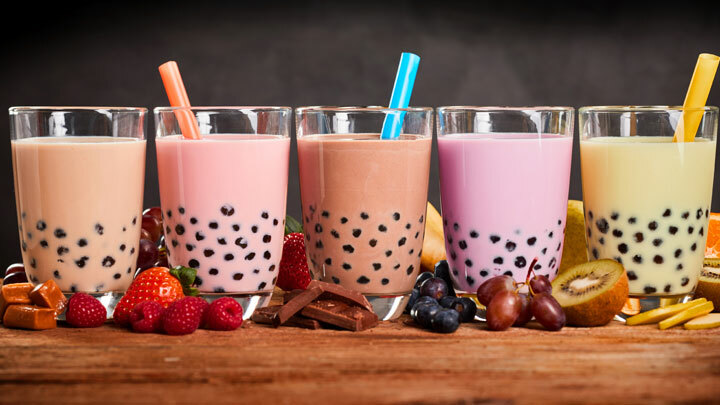 Founded in Taiwan by Henry Wang in 2005 for its signature and best-selling “pearl” milk tea, the parent company La Kaffa International Co Ltd was the first public-listed bubble tea company in that country. Expanding outside its home state to California, USA just one year down the road, La Kaffa now operates in excess of 1000 outlets in 30 countries and counting. Although its international ambition only reached the shores of Malaysia in 2010, the operations here account for a mammoth piece of the global revenue “pie” at almost 50%. Hence it is not surprising that La Kaffa guards its market share and position in Malaysia fiercely. The local obsession (and some say fad) for milk teas with fancy toppings such as “pearls” and “QQ” jelly can be attributed to the genius behind Loob Holding Sdn Bhd, Bryan Loo. As an ambitious entrepreneur who saw an opportunity in the underdeveloped local market for sweet teas, Loo looked towards Taiwan (the world capital of milk tea with more than 10,000 outlets island-wide from 180 different brands) to bring in a tea franchise that believes in global expansion. After multiple rejections from others, legend has it that Loo simply “Googled” the phone numbers of CHATIME headquarters and eventually reached the ears of La Kaffa’s CEO. After being pitched on the ripe prospects of the local market, Mr. CEO took a flight to Malaysia the very next day to meet with Loo to cut a franchise deal. A mere two months later in August 2010, Loob opened its first CHATIME outlet in a major shopping mall in Kuala Lumpur and the rest is history. CHATIME’s branding in the local F&B scene is nothing short of meteoric, expanding to more than 160 outlets nationwide by end on 2016 and boasting enviable sales growth annually. Thus, it took the industry and customers by surprise when La Kaffa terminated its master franchise agreement (under a Regional Exclusive Representation Agreement, RERA) with Loob on 05 January 2017 due to disagreement on royalty and ingredient sources. The contract was supposed to have run all the way until 2041 i.e. with at least another 24 years to go. Loob even lodged a police report over the termination. Under the RERA, Loob had only forty five days to stop using the franchisor’s CHATIME name and trade mark (registered in Malaysia as No. 2010017729 in Class 43). The former franchisee expeditiously made a comeback by rebranding itself as TEALIVE. Their own Applications No. 2017050392 and 2017050396 were filed mere days after the termination to replace the name of its outlets nationwide. It has been business as normal for TEALIVE, competing directly with CHATIME; with the latter now operated by the Will Group in Malaysia. (ii) disclosing and/or using confidential information of La Kaffa, including the operating mode, franchised concept, technologies, formulations, ingredients, programs and designs. La Kaffa was clearly concerned with the use of its proprietary information (e.g. various operation manuals) by Loob to carry on its similar tea business. What constitutes “similar business” would really be a question of fact, looking into the food type and ingredients used (similar), trade mark (TEALIVE and CHATIME are different), colour scheme (similar shade of purple), packaging (similar for most bubble tea cups). The RERA has a non-competition clause that survives the termination of the agreement. Similar prohibitions are recognized by Section 27 of the Franchise Act 1988, albeit it binds a franchisee for two years after the agreement and not perpetually. From the plaintiff’s supporting affidavits running to more than 300 pages, it would seem that the contention had been brewing (pun intended) for over a year. La Kaffa began to discreetly build the blocks of its case after realizing that something was amiss when Loob started trimming down on orders of raw materials from the franchisor despite booming business. The scope of the plaintiff’s investigations was impressive, including multiple undercover videos taken at Malaysian CHATIME stores, media statements by Loo, records of emails, letters and meetings between the two companies. The RERA further provided that the franchisee shall buy raw materials (including milk tea powder, cocoa powder and polypropylene cups) from the franchisor and penalty of USD10,000 will be imposed for each violation. La Kaffa claimed to have proof that about 25 franchised outlets were not using raw materials supplied by them. Their repeated requests for justification, inspection and an audit (a franchisor’s right exercised under the RERA) were first delayed and then denied by the master franchisee. If the injunction were granted, then Loob would have to stop operations of all its tea outlets immediately. However, if the court opines that monetary compensation is adequate to remedy any damage caused, then injunction should rightly be denied. As for the arbitration case, the plaintiff also claimed that Loob had failed to pay them close to USD650,000 for the purchase of raw materials. More than three months after the injunction was filed, it was dismissed by Judicial Commissioner, Wong Kian Kheong at the end of May. In an oral judgment delivered at the KL High Court, JC Wong ruled that an injunction would cause great risk of injustice to the defendant, its business and its many outlets and sub-franchisees. The livelihood of Loob’s staff, numbering in many hundreds, its suppliers, creditors and third parties associated with the business as well as landlords of the respective stores would be adversely affected. With this decision, Loob can continue its business subject to the outcome of the SIAC arbitration. The Court further ordered Loob to disclose its monthly gross sales to SIAC. The Judicial Commissioner also took the opportunity to point out that La Kaffa’s inconsistencies in its actions showed bad faith when they sent a notice of arbitration to Loob in October 2016 to demand for payment but at the same time, presented Loob with its best partner award.